I am just back from a wonderful trip to Sicily as the guest of the Planeta family, producers of Paneta-olive-oil and I was bowled over by the rich history of the island . The earliest visitors to put down roots were the Phoenecians, closely followed by the Greeks and then the Romans. A few hundred years later the Moors took over only to be ousted by the Normans, then the Spanish and finally the Bourbons. Culture after culture has left its mark on all aspects of island life and not least on the food of the island. Olives are thought to have been one of the first introductions, brought by the Phoenecians possibly as early as the 8th century BC. Today the cultivation of olives on the island is still flourishing and Planeta are one of the leaders. The company is a very much a family affair. It is led by Alessio, Francesca and Santi Planeta, who are responsible for the production, marketing, sales and hospitality, keeping Diego Planeta as a point of reference for the most important decisions. Cousins Chiara Planeta and Marcello Arici collaborate in hospitality and production activities, while Aunts Maria, Carolina and Marina remain indisputable authorities on the family food traditions. The lovely book Sicilia: The Cooking of Casa Planeta, written by Elisia Menduni, was very much influenced by them. Due for publication in September pre-order here. The olive groves are concentrated at the Capparrina olive oil estate near Menfi in the south of the island. There has currently been 98 hectares of olive groves planted with local Nocellara del Belice, Biancolila and Cerasuolo varieities but the company has recently planted another 40 hectares and even more emphasis will be placed on the production of extra virgin oil in the future. 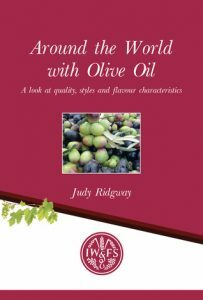 The olives are pressed in the mill which has been built in the centre of the groves, ensuring a high quality oils with really aromatic and fruity flavours. A blend of all three varieties is used to make the Planeta “Oliva Traditionale” extra virgin oil which is a DOP Val di Mazara oil. In addition, Nocellara de Belice and Biancolila olives are processed separately by the denocciolato method where the stones are removed before processing. I was at Planeta to talk about extra virgin olive oil nutrition and the health benefits of the Mediterranean Diet….and to introduce my book “The Olive Oil Diet” to a group of olive oil importers from around the world. 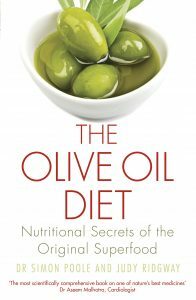 My hope is that itwill be a useful tool for them to use in educating their customer about the health benefits of extravirgin olive oil and so buy more of it! Good for everyone! 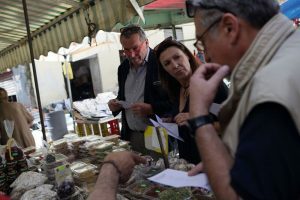 While in Sicily I was visited the Mercato del Capo in the oldest part of Palermo to see the range of ingredients which make the Sicilian diet a part of the Med diet. My taxi driver told me his breakdfast consisted of warm bread fresh from the bakery drizzled with olive oil and dotted wit oregano and anchovies. In the market the stalls which line the old streets were over flowing with a colourful array of local fish, fruitand vegetables and street food included “farina” pancakes made with chick pea flour, fried aubergines and little cheese croquetts all fried in olive oil.The produce was strangely familiar and I realised that the huge food packed lorries which drive to my local market in Ponte Tresa just over the Swiss border from my home in Lugano are piled high with just the same produce from Sicily. 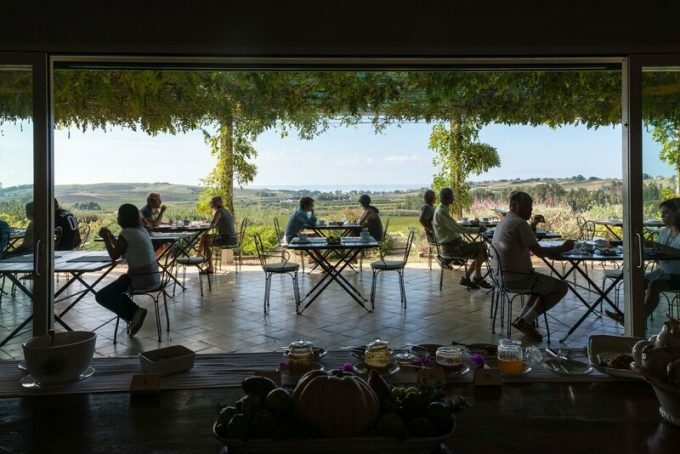 Experience Sicily for yourself with a stay at one of the Planeta hospitality ventures; La Foresteria wine resert near Menfi with traditional Sicilian food from chef Angelo Pumila or in an apartment in the Planeta family palazzio overlooking the Piazza Ignasio Florio in the centre of Palermo. There are also cookery courses, vineyard and winery visits and olive grove and mill visits.